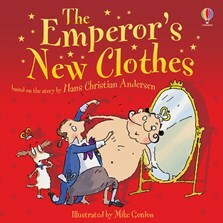 A comical retelling of the classic Hans Christian Andersen fairytale. The emperor needs a new outfit and it has to be splendid. But is it as splendid as the clothes-makers say? Lively text and humorous illustrations bring the story to life - perfect for sharing together.